Eighteen Golden Key members from North America and South Africa were selected as recipients of Golden Key’s 2013 Asia-Pacific Conference Travel Grant. These individuals will receive $2,500 each (or 7500 South Africa rand) to travel to Adelaide, Australia for the 2013 GK Asia-Pacific Conference in February. Golden Key would like to congratulate the winners of the Asia-Pacific Travel Grant! The 2013 Asia-Pacific Conference is a 3-day event aimed at advancing personal and professional development. The conference includes highly acclaimed speakers, workshops, a career and graduate school expo, networking and learning opportunities. 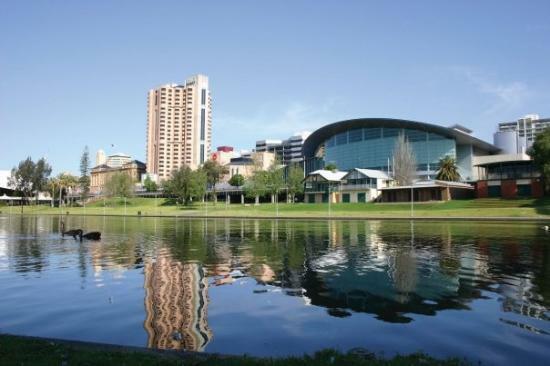 The conference features an exciting agenda and attendees can also partake in all that Adelaide, Australia has to offer. Adelaide is known for its numerous festivals, world-class sporting events, food and wine, spacious parklands and long beachfronts. Golden Key is very excited for all the recipients to have a fantastic time at the conference!